Jay Bhattacharya is a professor of medicine and core faculty member at the Center for Health Policy and the Center for Primary Care and Outcomes Research at Stanford University. He is also a senior fellow at the Stanford Institute for Economic and Policy Research and a research associate at the National Bureau of Economic Research. His research focuses on the constraints that vulnerable populations face in making decisions that affect their health status, as well as the effects of government policies and programs designed to benefit vulnerable populations. He is a widely published author in economics, medicine, and health services research journals. 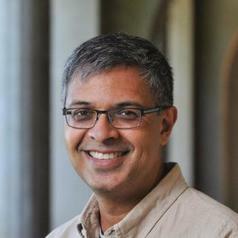 Prior to joining Stanford, Jay was an economist at the RAND Corporation. He received his MD and PhD in economics from Stanford University.